I get excited for the mail every day, but that’s probably because I work from home, live in a retirement neighborhood and am secretly 87-years-old. 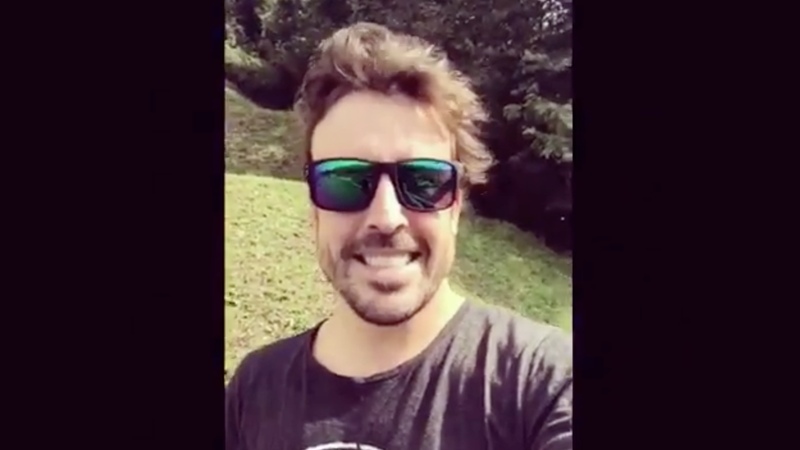 But getting something delivered by Formula One driver and professional sad man Fernando Alonso would be slightly more exciting than the daily mail truck. OK, maybe it would be a lot more exciting. I guess it depends on who you are. He’d make a great delivery boy, so long as he didn’t use a Honda race engine to do the job with. He probably wouldn’t be able to do his job if that were the case. Way to make mail time even more exciting, Fernando. It sure beats the UPS person who knocked on my door at 9:30 p.m. the other night and made me scramble for the nearest thing that could be used as a weapon. Thanks for the tip, Paulo!